Here is a story for you. I walked into the museum early, before the sun was up, before the air had warmed, before the presence of others marred the still quiet contemplation that you can find in the presence of great art and the absence of great noise. The gallery was almost deserted, and I was preparing for my class to arrive. There was only one other person in the faint morning light, a young student sitting on the floor in front of a large photograph, a notebook balanced on her knee, a pencil in her hand. 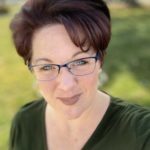 She seemed utterly absorbed in her thoughts, in looking at what was before her, and I quickly dismissed her from my mind as I got ready for my class. The museum opened, and the gallery was quickly full—full of students with notebooks, with instructors, with mothers trailing small children. 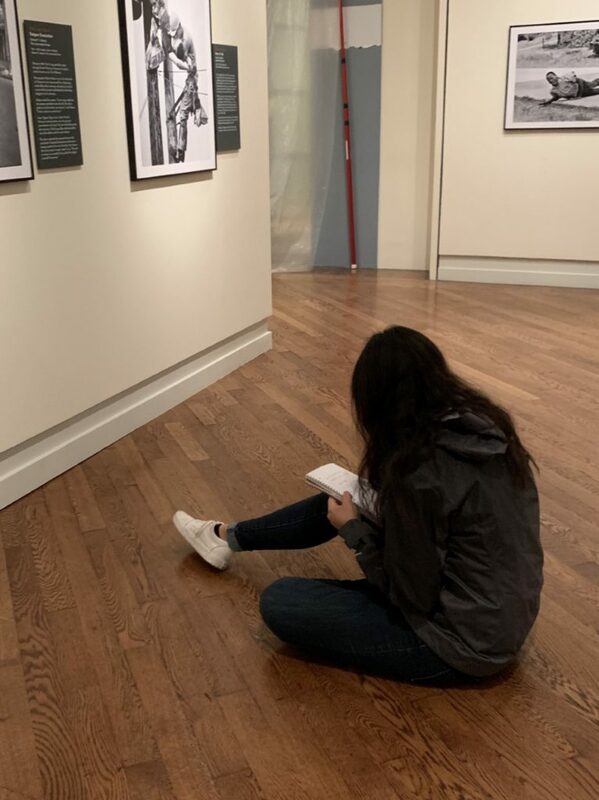 It was not until my class was over that I looked around and noticed that the young woman was, still, sitting on the floor of the gallery with her notebook, still looking intently at the wall. It drew my eye, caught my notice, and I was intrigued by what she had spent the last hour contemplating. 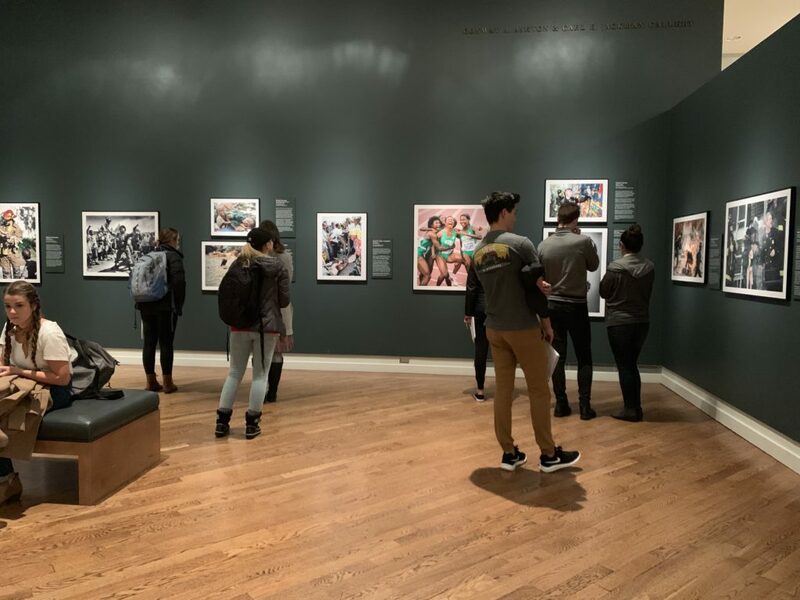 The exhibition was made up of photographs—Pulitzer Prize winning photographs in color, in black and white, large and small, of both historic moments and of little things that aren’t. In front of the student was a large black and white print of a couple walking into each other’s arms, a deserted shoreline behind them. The photo was taken from a distance, most detail obscured by the expanse; but you could see, in the way they held themselves, in the way they seemed to be seeking comfort from one another, that some tragedy had recently occured. Reading the placard on the side I saw that the couple had lost their toddler in the surf, and the photographer had been walking by and snapped a photo of this moment of despair. But it was not about the photograph for me, it was about the student’s response to the photograph. About her stillness and utter absorption. About the emotional connection she seemed to make to these strangers, who lived in another time and another place. Connections and reactions such as hers are the reason why I take my students to the museum at all. And here is the thing I wanted to tell you, the reason for this story. The true power of these photographs lies not in their artistic merit, although they are artistic. It is not contained in any combination of line or composition, although they are striking for some of these very reasons. But the stunning emotional impact of these photographs lies in the very human, very identifiable emotions that connect to the viewer on a visceral level. No matter our race, religion, or economic background, no matter our beliefs or our standards, we each feel grief and happiness in the same ways. We are impacted by tragedy and by triumphant joy—by the circumstances that can isolate us, but can also bring us closer together. We are, each of us, worthy of empathy, of understanding, and of respect. Sometimes it takes a tragedy to remind us of this simple truth. We are unique, but that uniqueness makes us human, that individuality makes us more like each other than different. It makes us worthy of respect, but also demands that we respect others. When we forget this, when we forget our own worth, it becomes easy to overlook the worth of others. Martin Luther King Jr. said, “Darkness cannot drive out darkness; only light can do that. Hate cannot drive out hate; only love can do that.” And that is what I began to see when I looked around that gallery. Moments of tragedy and triumph that remind us that what we need most, what we all deserve, is love. For ourselves. For others. For the daily events that leave us feeling that we are not enough, or that we cannot make a difference. In the end we have to recognize the uniqueness of others in order to recognize our own individuality. We need to give respect, and in return we need to recognize that we are worthy of that same respect. We need to find—in the gnarled, twisted hands of a neighbor offering a gift, in the witty snark of the teenager next door, in the quiet despair of a young mother who feels she is alone—in all of these small moments, we need to see that we are, finally, wholly human and yet magnified by the light of love. A museum exhibition is, and must be, a very personal experience. No matter who you are with, or what your purpose in coming, no one can see what you see through your eyes, or feel what you feel. And for the most part these quiet moments stay personal, rarely reflected on. But one thing that I ask my students to do when we go to the museum together is to take a few moments to think about what their experience means to them, and then share it with someone else. Part of my purpose in this exercise is to get them, through the process of reflection, to understand their own feelings, because it is through the act of putting something into words that we sometimes discover the greatest truths of what we feel and how we think. 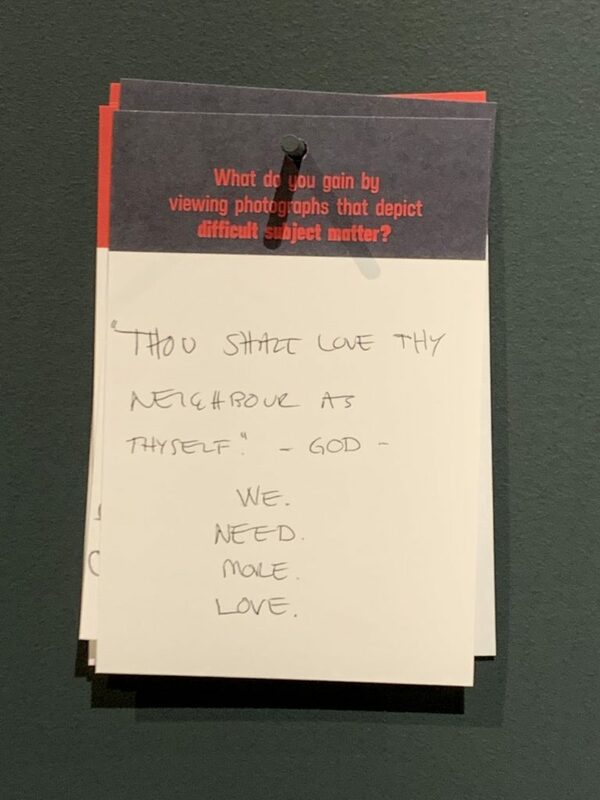 And as I left the gallery that day I noticed a wall, filled with slips of paper, that asked the same thing— for the viewers to respond to the exhibition. Elegant script and scrawling print filled page after page, lining the long wall, fluttering in a faint breeze. Repeated over and over again was the same sentiment: we need more love. In the same situation, confronted by the same images, what would you say? Take a moment in the next few days and consider what you have that makes you unique. What is it that sets you apart as an individual? And how can that uniqueness be used to contribute to the lives of others around you? How can you respect the uniqueness of others? Write it down. Read it. Live it. And love it.